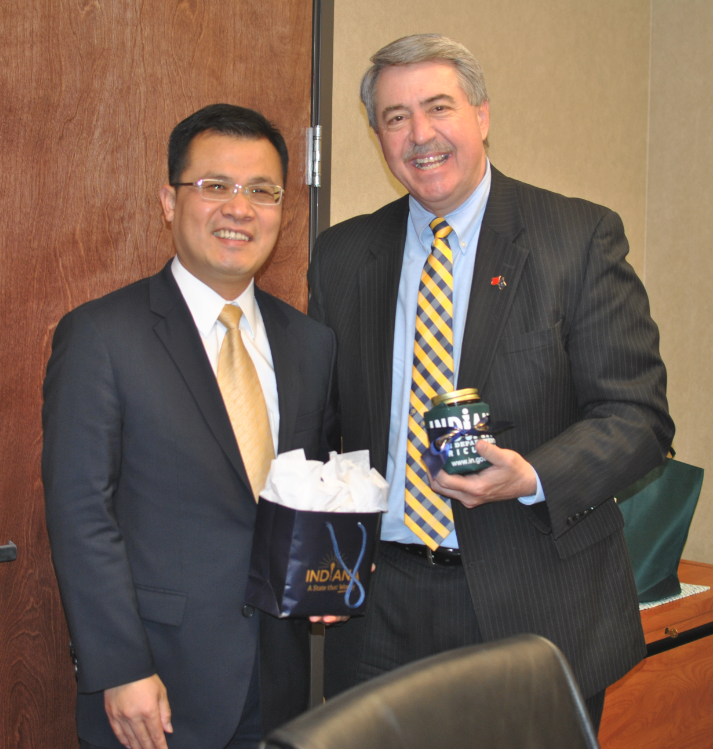 On April 25, Chinese Consul General to Chicago Zhao Weiping met with Mr. Ted McKinney, Director of Indiana State Department of Agriculture (ISDA). They exchanged ideas on how to improve the agricultural cooperation between China and Indiana. 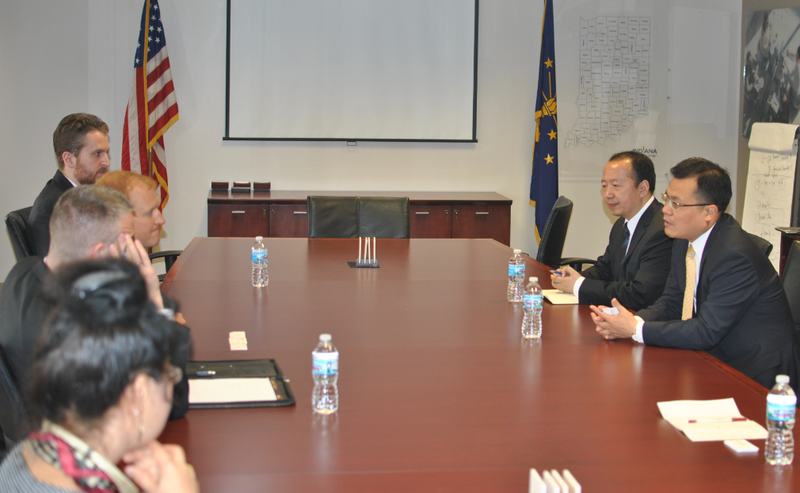 The Consul General Zhao also met with Mr. Chad Pittman, the Executive Vice President of Indiana Economic Development Corporation (IEDC).